THE ONLY FORSKOLIN BACKED BY SCIENCE::ForsLean® is the ONLY brand of forskolin proven in clinical research studies to be safe and effective. I have found that I have more energy since taking the Forskolin +. I also have noticed that my belly has decreased abit in size. I take both the Forskolin and Weight Off Max daily. I just started to notice a small decrease in weight since I started them both mid June 2016. I would recommend both items to anyone. Looking forward to my free bottle of Forskolin! 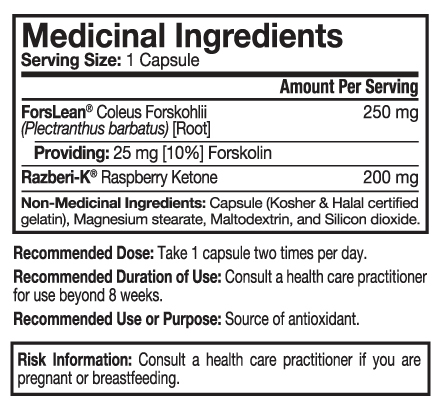 Q: Hello, Can you please advise if it's safe and or recommended to take Forskolin with Rasberry Keytone? I am considering trying WeightOff - or using a combination of other supplements - I have used Raspberry Keytones in the past with success - I have 10 pounds to loose. Any advice will be appreciated. Thank you. A: Our SlimCentials Forskolin+ includes both the clinically proven level of forskolin and the clinically proven level of Razberi-K raspberry ketones. These nutrients have been precisely added due to the synergy in which they act together. In other words, they work together to make fat metabolism faster and easier while also having the added benefit of preserving lean muscle mass. If you are interested in taking your weight management program to the next level try combining SlimCentials WeightOFF MAX! 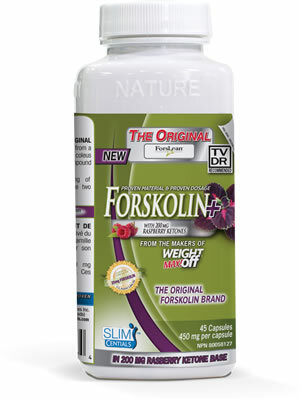 with SlimCentials Forskolin+ for the most comprehensive weight loss supplement stack available.